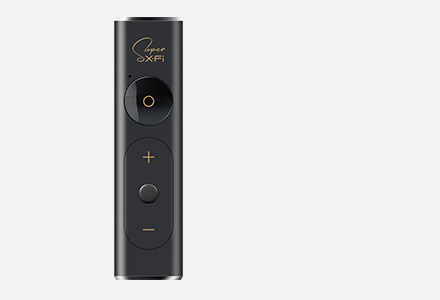 Experience the magical audio reality of Super X-Fi with the Creative SXFI AIR C! This USB headset has built-in Super X-Fi technology that provides holographic audio personalized to your own ears for an unbelievable headphone experience that's as good as the real thing. The Creative SXFI AIR C also boasts a detachable ClearComms microphone that is specially tuned for natural vocals, 50mm drivers, and a customizable RGB light ring. It works for movies, music, and games on PC, PS4, Nintendo Switch, and Mac. 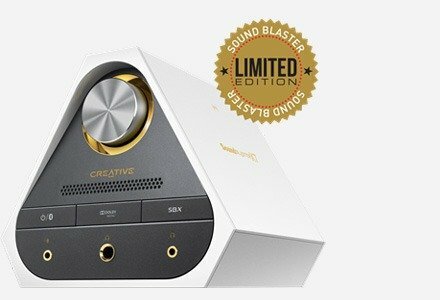 ...Super X-Fi audio tech is FRIGGING MIND-BLOWING. ...made straightforward stereo music tracks sound MAGICAL. HOLOGRAPHIC AUDIO — UNIQUE TO YOU, PERSONALIZED FOR YOU. Imagine capturing the listening experience of a high-end multi-speaker system in a professional studio, and recreating the same expansive experience — with the same original depth, detail, realism, and immersiveness — in your headphones. Each of us hears the world differently — our unique head and ear shapes affect how we perceive sound. Super X-Fi personalizes the headphone audio experience based on how you hear sound to give you the most optimized and realistic listening experience. This is done by simply taking three photos of your face and ears with your phone. Personalize your Super X-Fi profile through an advanced Ear & Head-Mapping process. Immerse yourself in a holographic audio experience in the comfort of your own living room. 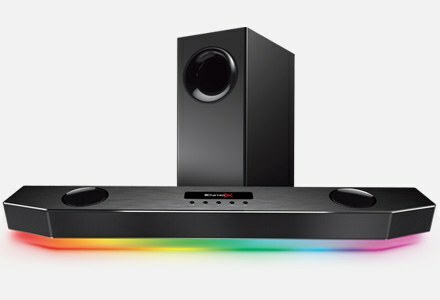 Super X-Fi is capable of transforming movie audio into full-fledged, cinematic audio experience that comes from a high-end multi-speaker surround system. Experience music on your headphones as if you're listening to the recording artist in a studio! You can enjoy Super X-Fi from any audio source from your PC, including desktop apps such as Spotify, YouTube, or even some local hi-res audio files. Try out some old mono tracks from the golden age and you'll be amazed how Super X-Fi transforms the music into something magical. Enjoy games with the full cinematic capabilities of Super X-Fi! It works whether you're on PS4, Nintendo Switch, or on PC. The soundstage of the game opens up, presenting you with a real-life holographic audio experience, as if you were actually transported into the game environment itself. Your games will never sound the same anymore! Connect via USB to enjoy the full glory of up to 7.1 Cinematic games and movies in Super X-Fi on your PC and Mac! Utilize the same USB connection to enjoy the magical holography of Super X-Fi even on consoles like the PS4 and Nintendo Switch! Download the SXFI App. Create an account, and go through the ear and head-mapping process. Download and Install the SXFI Control software for PC and Mac. Sign into your SXFI account. Connect your SXFI AIR C to your PC via USB and you're done! 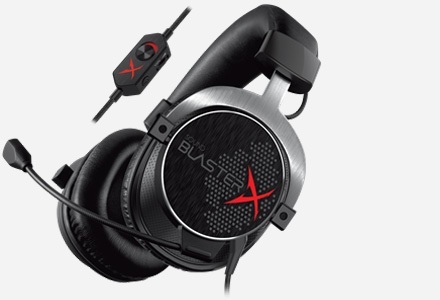 The Creative SXFI AIR C's built-in Super X-Fi technology rests on its foundation of audio performance. The Creative SXFI AIR C boasts 50mm Neodymium drivers that are specially tuned to deliver audio that is powerful while maintaining accuracy, an essential attribute for music and movie buffs. The Creative SXFI AIR C features a detachable ClearComms microphone that allows you to communicate easily with teammates in-game or friends over Skype. The microphone is specially tuned to reproduce impressively natural vocals. Comms will never be the same again! 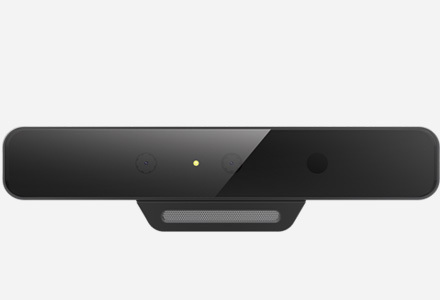 With Super X-Fi, experience the mind-bending holographic reality of your teammate being in the same room as you. And with the SXFI AIR C's ClearComms mic, your friends will hear you loud and clear. As fabric is more breathable and dissipates heat better, the fabric and memory foam of the earcups provide a more comfortable experience. The earcups are also replaceable, so users can opt to switch them out for leatherette earcups (sold separately) if desired. Optimized clamping force is essential when creating an incredible headset. 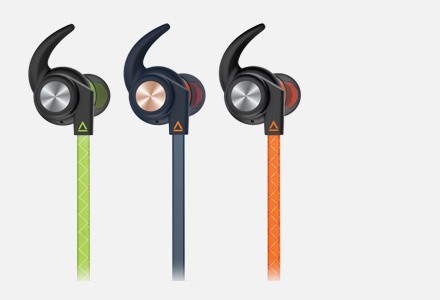 The Creative SXFI AIR C has a clamping force that is perfectly balanced, making it loose enough to be comfortable but tight enough to stay on the listeners head. Hear your audio in a new light! With 16 million different colors to choose from, the Creative SXFI AIR C with its customizable light ring can match any outfit you choose. 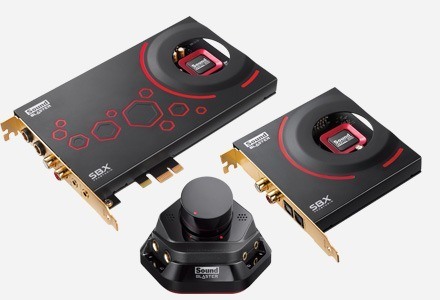 Check out our full range of Super X-Fi products, made possible by the Super X-Fi UltraDSP chip. You can enjoy the full features of Creative SXFI AIR C across various platforms, including PC/Mac, Nintendo Switch, PS4, and Android Phones (see below). Yes, the PS4/PS4 Pro are fully compatible with the Creative SXFI AIR C. Before using your Creative SXFI AIR C with PS4 you will need to do a one-time setup of the Creative SXFI AIR C with your profile using an Android device. Does the Super X-Fi technology work in passive mode (line-in) for Creative SXFI AIR C?